With the drone industry exploding and projections for the next 10 years showing no slowdown, it’s not surprising that a number of companies are fighting to dominate the consumer drone market. While DJI is still the gold standard, smaller companies such as 3D Robotics Inc. and Parrot should not be counted out just yet. Parrot is one of a trio of companies, including SZ DJI Technology Co. of China and Berkeley, Calif.-based 3D Robotics Inc., that are the early leaders in the race to be the world’s top consumer drone firm. Each is staking out different parts of the market and trying to avoid the declines of other consumer-technology pioneers in industries like personal computers and cellphones. A problem shared by all of the larger drone manufacturers is new competition. It seems like new drones are being released daily and if you search “drone,” “uav,” or “quadcopter” on your favorite crowdfunding website and you will see a number of results. Parrot and its rivals face a wave of new competition. GoPro Inc., which made wearable cameras mainstream, selling 5.2 million of them last year, now plans to launch a flying camera for under $1,000 next year. Helen Greiner, co-creator of the Roomba robotic vacuum—effectively the first consumer robot—is leading a company behind a $500 six-rotor drone that she says users can fly without training. And three startups have plans for drones that can’t even be piloted; they just follow users as they, say, ski down a mountain. To stay ahead, companies like Parrot need to capitalize on their first mover advantage while staying as agile as possible. If history is any indicator, Parrot is in a strong strategic position and they don’t appear to be afraid of “pivots,” originally Parrot developed voice-recognition software. Even the name of one of Parrot’s most popular drones indicates a pivot. The AR.Drone stands for augmented reality, and the original concept was for pilots to fly through “virtual rings,” instead pilots started taking photos and the AR.Drone became a hit. The 55-year-old says he fell into drones almost by accident. He got the idea of a toy quadcopter—a four-rotor helicopter—at Paris’s industrial-design museum, where he spotted a model of the Breguet-Richet Gyroplane designed by French inventors in 1907. He envisioned using cellphones to control the toy and view its camera’s images, ultimately creating the AR.Drone—short for augmented reality, a technology that inserts virtual objects into a camera’s view. Parrot wanted to enable users to fly through virtual rings, but customers instead began snapping aerial photos of their homes. Then sales soared. “The drone turned out to be a flying video camera, and that was not our idea,” Mr. Seydoux said. Even though Parrot “fell into drones almost by accident,” their agile nature has allowed them to not only survive, but also prosper. Annual drone sales over the past two years increased by four times to €34.6 million, becoming its biggest business. 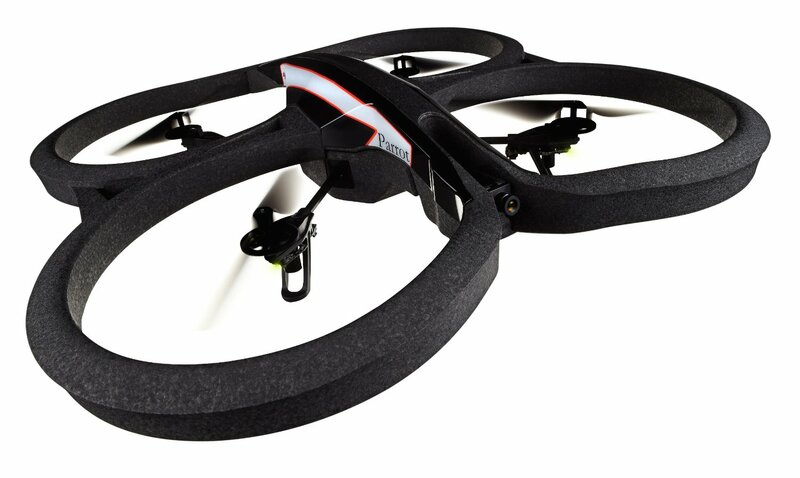 The company is moving many engineers to drones from its automotive business. “Drones are the priority of Parrot today,” Mr. Seydoux said. Investors approve. Parrot shares are up 125% over the past three months, including a spike last month on news that Parrot bought two more drone firms.